These are a couple of pages from the passports of two of my great-grandparents, who immigrated to the United States from Holland in February, 1921. 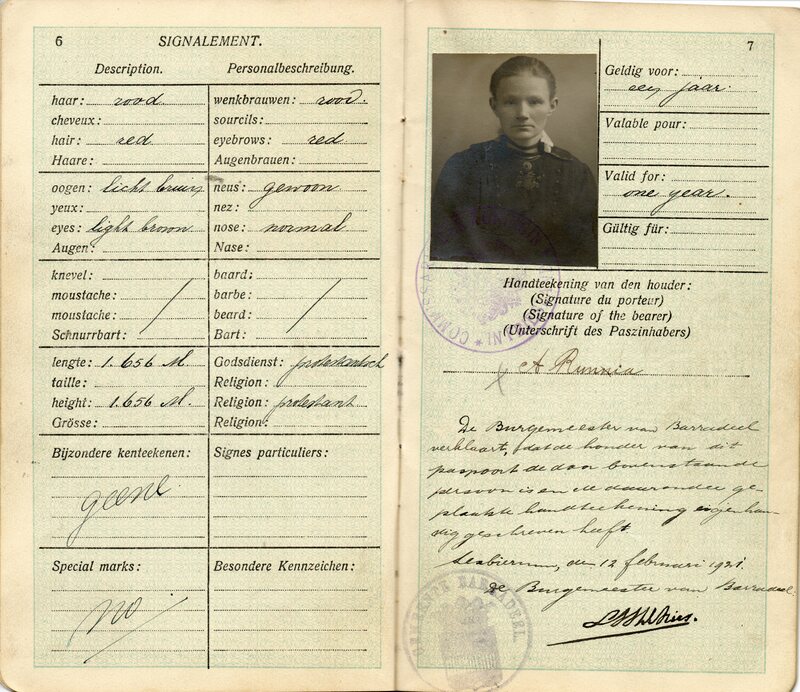 This is Meindert Van Dyk’s passport page. It includes pictures & descriptions of his three children, Anna, Sydney & John. My grandmother, Josephine (their full sibling) was born in the United States three years later on April 30, 1924. 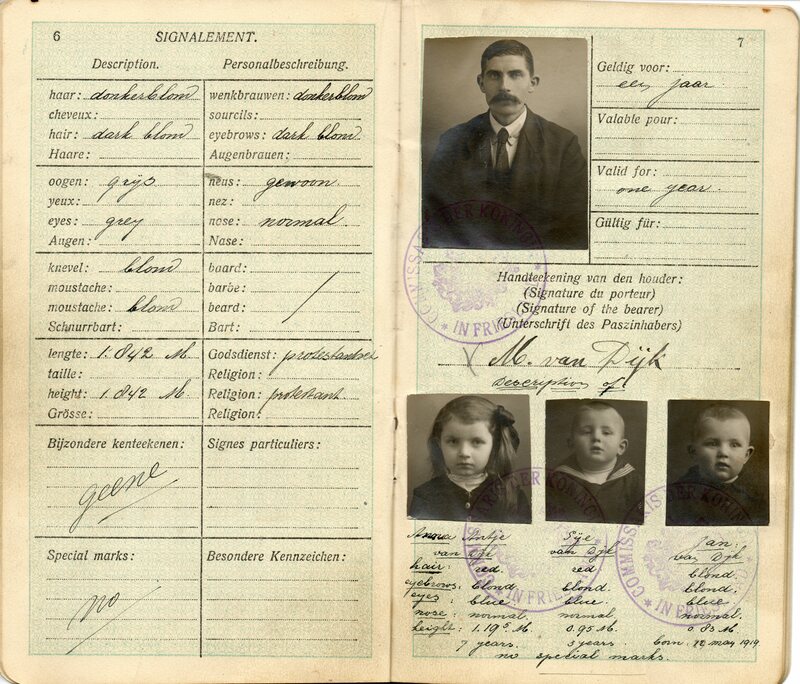 This is a page from the passport of Anna Runia, wife of Meindert Van Dyk and mother of the children. In 1924, Anna Runia gave birth to the couple’s 4th child. She was my grandmother, Josephine. But sadly, Anna died a few days later from complications of childbirth. You can read much more about that here. 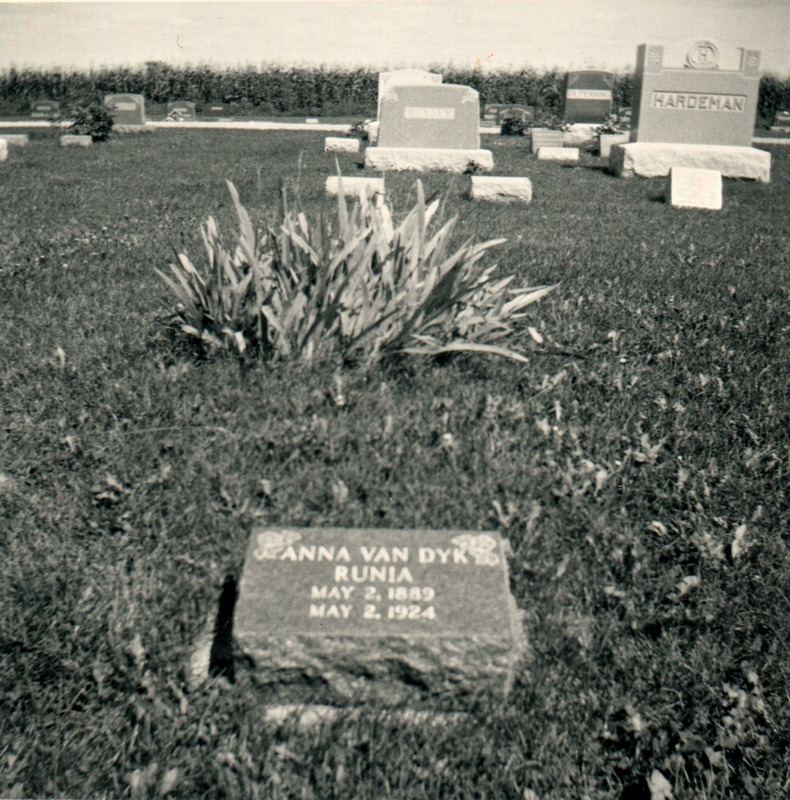 Anna Runia’s head stone located in Sully Cemetary, Lynn Grove township, Jasper County, Iowa. 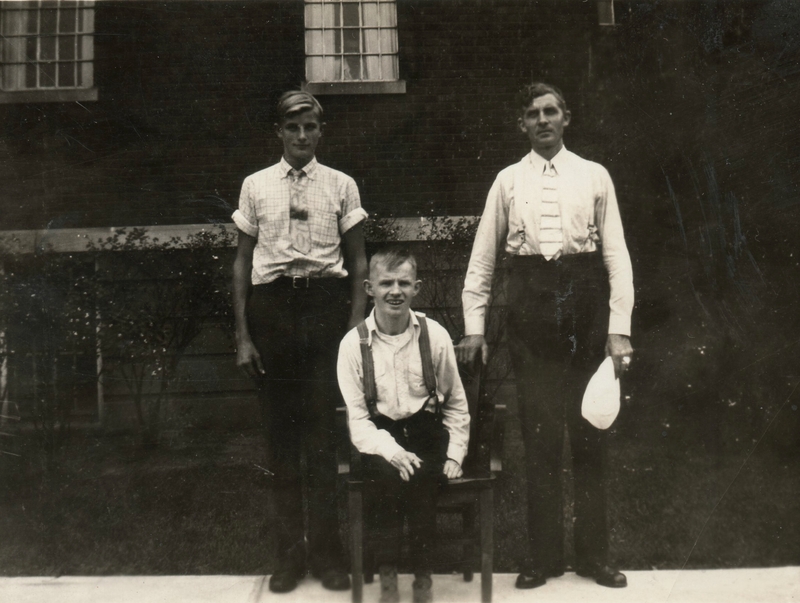 If I recall correctly, Grandma (Josephine) told me that this picture was taken at the Christian Psychiatric Hospital in Cutlerville, Michigan where Sydney resided. 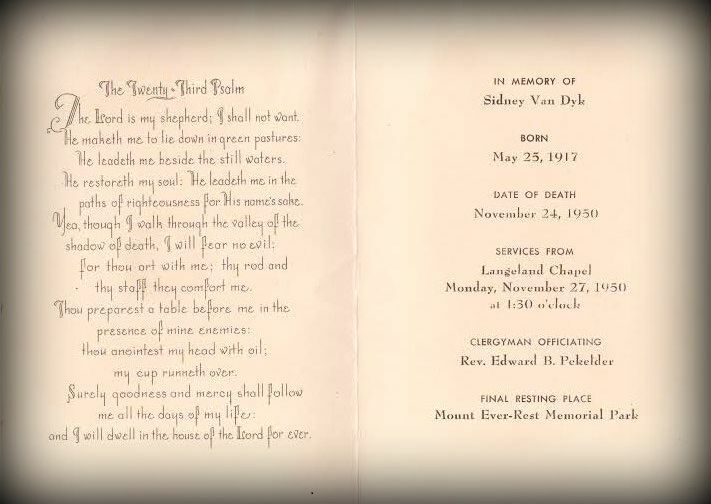 Sydney had cerebral palsey and passed away in 1950 at the age of 33. Below is a picture of Anna Runia’s brother and sister who visited her in Kalamazoo. I believe this picture was taken in 1972. 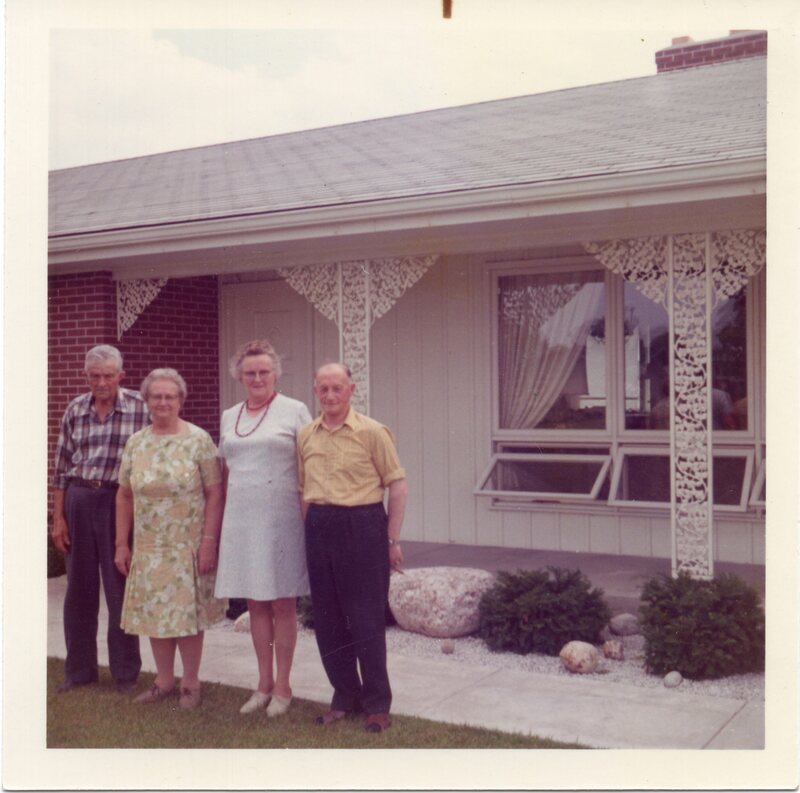 L to R: Uncle Tunis Runia, his wife Nellie, Aunt Dirke & Uncle Sebring. Tunis and Dirke were brother and sister to Anna Runia. I hope to add more pictures here in the future. This entry was tagged Anna Runia, Family history, Holland immigrants, John Van Dyk, Josephine Balkema, Meindert Van Dyk, passport photo. Bookmark the permalink.